U.S. 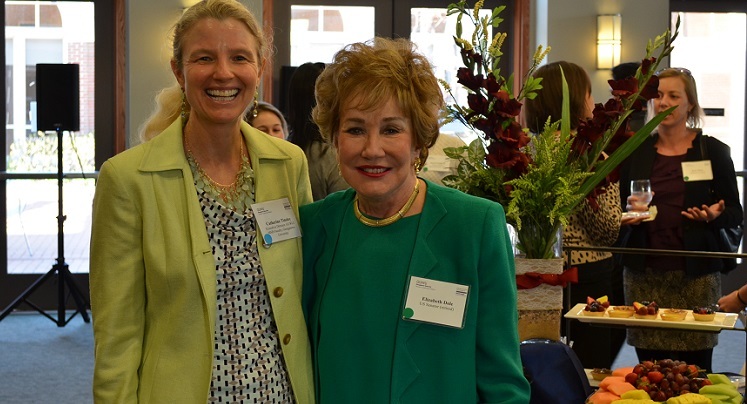 Senator (retired) Elizabeth Dole joined Georgetown University Women’s Leadership Initiative Executive Director Catherine Tinsley at an April 23 reception to celebrate Tinsley’s new McDonough School of Business MBA course: Developing Women Leaders-Cultivating Your Human and Social Capital. Some 60 women leaders from across Georgetown University and the Greater Washington community came together with students from the class for the celebration. Georgetown McDonough Dean David A. Thomas spoke at the reception about the importance of the course and about diversity in both higher education and in the workplace. 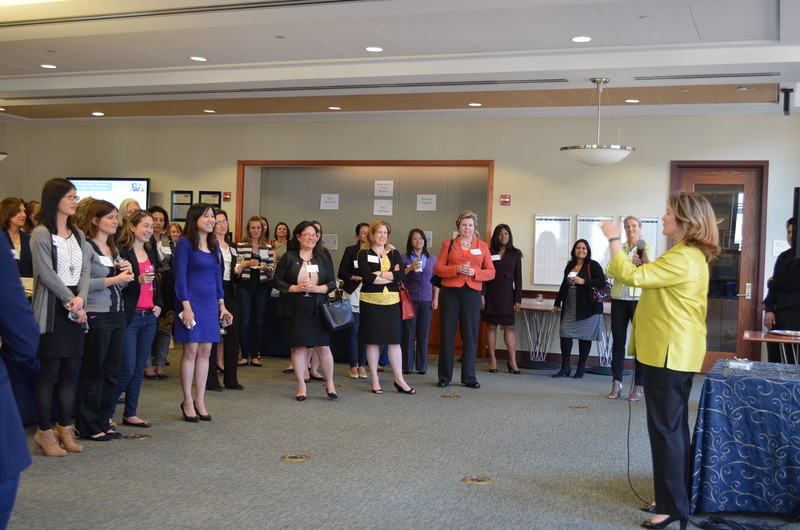 Alumnus and CEO of Potomac Research Group Suzanne Clark, who has been a guest speaker in Tinsley’s class and at other GUWLI events, also spoke and encouraged the women leaders in the room to serve as mentors, and for the students to seek out such mentors. Georgetown McDonough hopes to offer the next session of the Developing Women Leaders class in Spring 2015.